MUSALAHA is the Arabic word for reconciliation. It is also an organization based in Israel that specializes in the reconciliation between Palestinian and Jewish believers in Israel and the Palestinian Territories. Founded in Jerusalem by Dr. Salim J. Munayer in 1994, Musalaha works with the two communities of believers torn by strife and mistrust and brings them together around their shared faith in Jesus Christ. Salaam, or Shalom–peace is an elusive thing in Israel and Palestine, but thanks to the work of Musalaha, dividing walls are coming down and communities of trust are being built one person at a time as hearts are touched and lives are recommitted to the message of hope and reconcilliation brought by a shared Saviour. HOPE has formed an agency agreement with Musalaha to bring hope and healing to hurting individuals in Jesus name and to help bring Christ’s message of reconcilliation to the holy land. HOPE Outreach believes this ministry of reconciliation is vital to the future of the holy land. That is why we have engaged Musalaha to carry out projects specifically targeted to bring Christ’s message of reconciliation to Israelis and Palestinians. 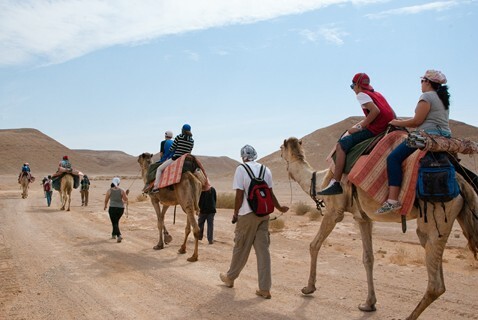 The desert is a place where, biblically, God’s people wrestled with Him and the difficulties in their lives. It was also a place of great spiritual growth and maturity. Today, Musalaha takes Jewish and Palestinian Arab believers into the desert together to live and worship together; to tear down the walls that divide them so that hopefully by the end of their encounters, they will have made new friends in Christ. Through this 2016 HOPE Outreach project, Palestinian women are receiving leadership training which will equip them with the tools necessary for becoming agents of change in their own society, as well as provide them with a framework for meeting with Israeli women on equal footing. It will also equip them for organizing and implementing community development projects that help bring about change in the local communities. Because of cultural bias, often women are restricted in the educational and occupational options available to them. Thus training is essential. It is also unique in that it not only trains women for work in reconciliation activities, but it also brings Palestinian women together in a framework where they can be challenged and grow together on a local level that will equip them to become reconcilers on a national level. Dr. Munayer visits Canada periodically to share the story of Musalaha’s ministry, to raise awareness about the issues surrounding the conflict and more specifically, ways to address reconciliation. 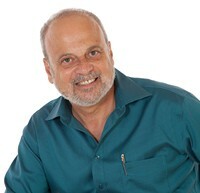 He has taped two interviews with Crossroads Communications – one of which you can view below. Hope Outreach of Canada shared a link. Hope Outreach of Canada shared a post. The classic cross used for this refrigerator magnet, is seen throughout the Holy Land, and is known as the Jerusalem cross. It is made from locally sourced olive wood and crafted by artisans in the Bethlehem area. The shape of the cross has a deep historical and spiritual significance. The large cross represents Jesus. The four smaller ones represent the four gospels of Matthew, Mark, Luke and John – going out to the four corners of the world. Perhaps the most compelling symbolism found in this cross is that of the five wounds Jesus suffered during the crucifixion. Wounds to Christ’s hands and feet are represented in the small crosses and the large center cross represents the wound to Jesus’ side. The Jerusalem Cross is a popular gift for retreats, confirmations, ordinations, and anyone answering the Lord’s call to service. It is also a sought after preaching tool during Easter services. As Easter is quickly approaching, we wanted to make you aware of an opportunity that encompasses shopping for the holiday as well as supporting this global mission’s work. Your purchases at The Star Bazaar are helping to fund and maintain the College’s ability to touch, teach and train these students. #THOUGHTS UNPLUGGED - Israeli & Palestinian Youth speak out without raising their voices. Information: We'd love to hear from you. If you have any questions about our ministry or want to know how you can get involved, please contact us. 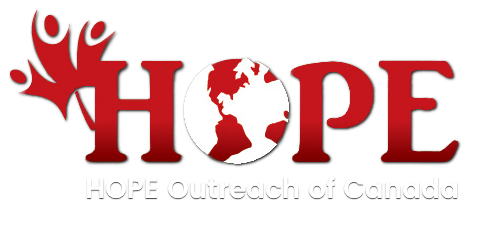 HOPE Outreach of Canada exists so that our neighbours worldwide and particularly those in the Holy Land come to know Jesus and as His fully committed followers, promote His true and lasting peace.